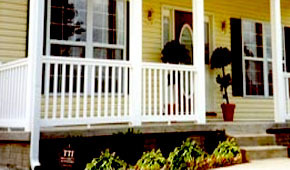 Enjoy your porch more with new vinyl porch posts and vinyl railing. Yoder's Vinyl Products carries a large variety of styles for every taste. Get your free personalized quote today! Whether you're enjoying a summer evening with a cup of iced tea or an autumn morning with a cup of coffee, there's no place like your porch. 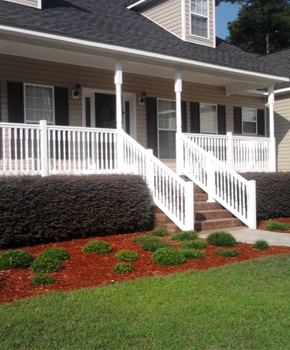 With vinyl porch posts and vinyl railing you can enjoy a beautiful and safe time of relaxation. Plus, you won't have to worry about maintaining your railings or porch posts. Our dependable, friendly team is a leader in quality customer service. You'll find a range of quality railing options to get the beautiful curb appeal you're looking for. Let our team work with you to find the railing that fits your style and your budget. Call us today! Get a beautiful porch today. Contact our team for more information on our vinyl products by phone at 478-275-4500 or by email.